We offer quality bahai grass hay grown right here on our farm. We usually have round or square bales available. We also truck in large bales of alfalfa hay to feed our livestock, and often have extra bales to sell. We strive to produce American Quarter Horses that will make all around performance horses. We breed for a quiet horse with enough speed to go to the barrel race, enough cow to be a roping or penning horse,and the temperment to be a trail or youth horse. This 2013 filly has great conformation and is bred right for a barrel racing prospect. With Feature Mr Jess, Easily Smashed, and Dash For Cash in her pedigree, speed should not be a problem. The Docs Solano breeding on her bottom side should lend just enough rate. Call Patty @ 601-916-8052.
" TooCan" is an accredited Florida bred yearling who is eligible for the $200,000 added Hileah futurity. His sire, First Down Straw is the leading Florida Quarter Horse racing sire for the last two years, siring the champion 3-year old colt and gelding in 2011. His dam, Kim Eye Opener, is a daughter of the great Mr Eye Opener. She is an earner of over $15,000 and a racing ROM. This guy is built for speed, so if you are looking for a great racing prospect, give us a call at 601-916-8052. 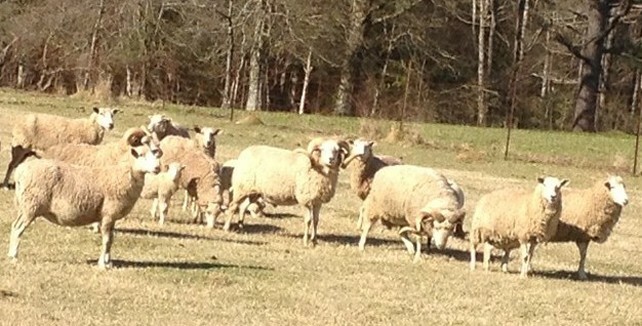 We have maintained a flock of sheep that descend from our ancestors original free-ranging "woods sheep". 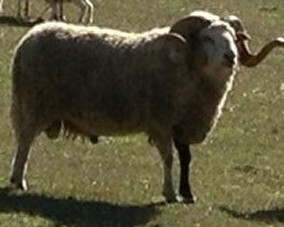 We usually have lambs, ewes, and young rams available for sale at all times. Call Patty @ 601-916-8052 for more information. Our cattle are selected for calving ease, growth, and carcass quality. We have blended Black Angus, Beefmaster, and Limousin genetics into our herd over the years. The result is a moderate framed, lean, cow that has a fast growing vigorous calf that does very well at the sale barn, feedlot, and on the table. Ask us about a custom-fed beef order and see for yourself.